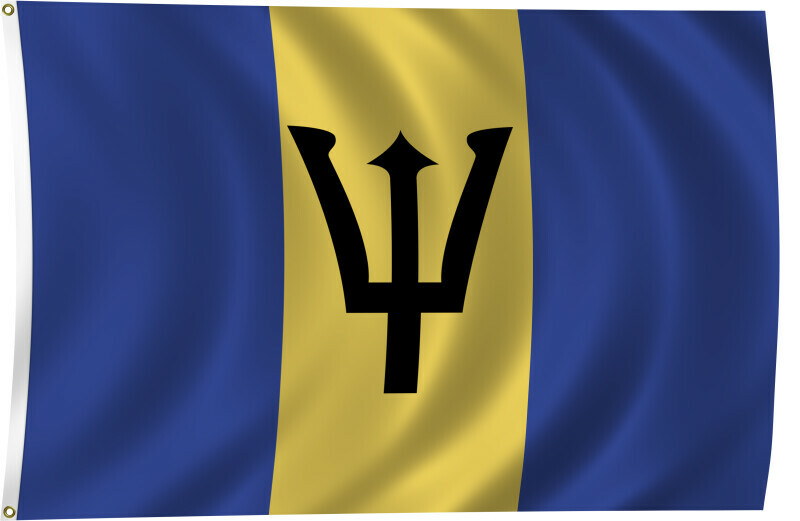 Color flag of Barbados. Three equal vertical bands of blue (hoist side), gold, and blue with the head of a black trident centered on the gold band; the trident head represents independence and a break with the past (the colonial coat of arms contained a complete trident). Flat color and black/white versions of world flags are available on the Clipart ETC website.